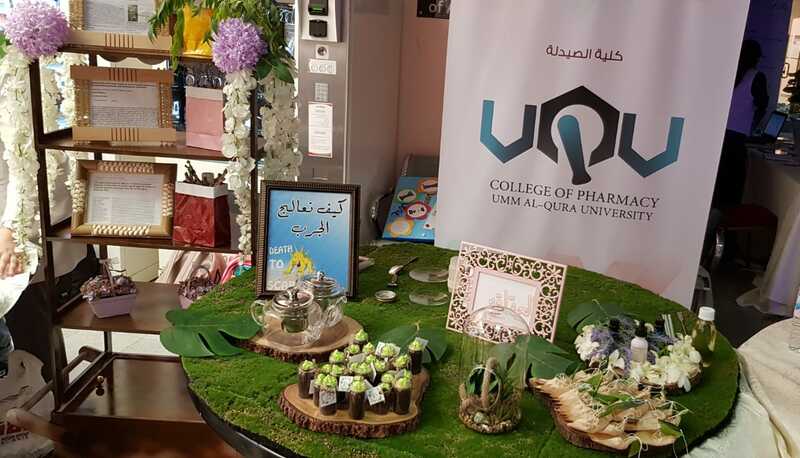 The College of Pharmacy won the best Introductory Corner prize for 2018, on the first Scientific Research Day for medical colleges, females section, which was about (The best Treatment Methods for Scabies by Natural Plants Grow in Makkah). It was under the supervision of H Dr. Al-Jawhara Al-Qathami and Dr. Randa Fathy, faculty members of the Department of Pharmacognosy at the college, on Wednesday, 11/4/2018, at the headquarters of the health colleges in Al-Abadiya. 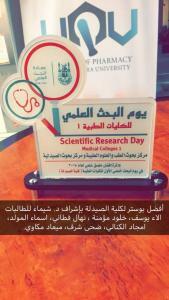 The Scientific Research Day aims at sharing the successful research experiences in different medical areas for the female faculty members. 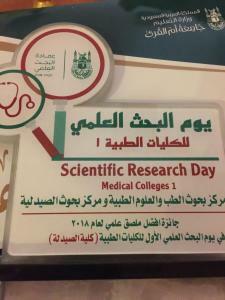 The College of Pharmacy’s participation in the day was under the supervision of Dr. Ala’a bint Zafer Al-Kahtani, a faculty member at the Department of Pharmaceutical Chemistry and deputy director of Pharmaceutical Science Research Center, and Dr. Mariam Magli, a faculty member at the Department of Pharmaceutical Chemistry and the college’s coordinator for scientific research at girls section. 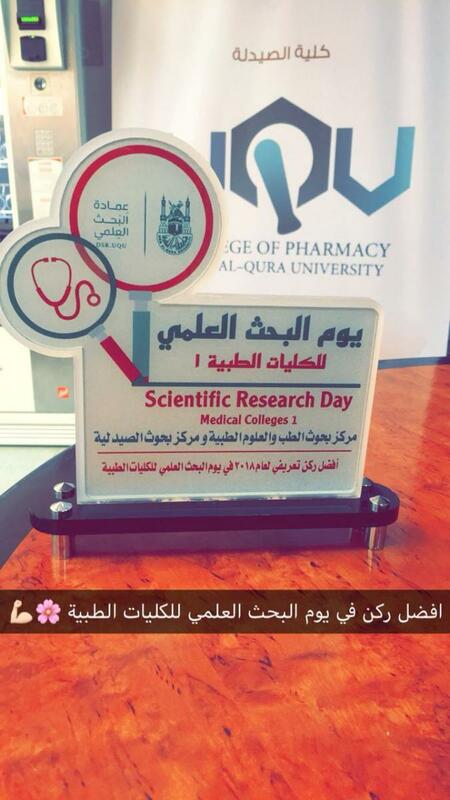 The event included a presentation of the most important research achievements of the health college female students, and the research banner "Attitude Believes and Decision of practitioners associated with complementary and alternative therapy in treatment of pediatric population in Holy Makkah", which was presented under the supervision of Dr. Shaima’a Mahmoud Nasha’at, a faculty member at the Department of Clinical Pharmacy, won the best research banners award. 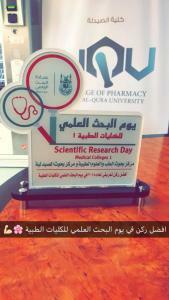 It is the research fruits of the fifth year female students, they are: Asma’a Mosa Al-Mould, Ala’a Hamza Yousef, Amjad Abdel-Moaez Kanali, Daha Khalid Sharaf, Kholoud Walid Moamena, Ma’ad Ibrahim Mekkawi, and Nihal Mohammed Fatani. 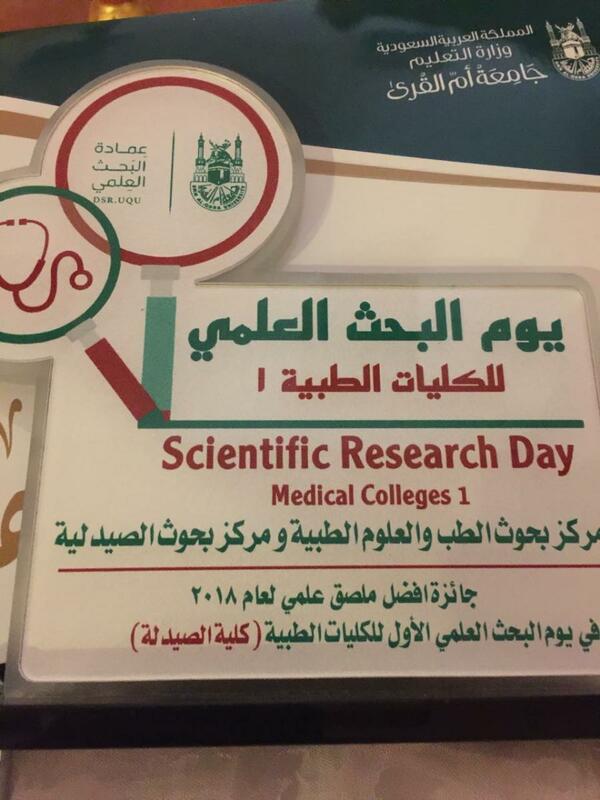 These distinguished events are organized upon the support of HE UQU President, Dr. Abdullah bin Omar Bafeel, to the scientific research as well as the spread of the culture of distinguished scientific research; in addition to the ways of positive research cooperation between all researchers from the university’s health colleges.